In a few hours a new Miss World will be crowned by Megan Young, last year’s Miss World winner. Megan Young added another first for the Philippines when she won for the country the crown of Miss World in 2013. Though the Philippines placed several times in this pageant in the past this was the first time that the country got the coveted title. By winning the crown this also completed the country’s possession of the major beauty titles of the world: Miss Universe, Miss International, Miss Earth, and finally, Miss World. It was no wonder that the missosologists in the Philippines trumpeted this victory far and wide. But Filipinos were not the only ones who were overjoyed with Young’s victory. Because Megan Young was half-Filipino and half-American people from the United States were also claiming her victory as their own. Just as Filipinos love to claim anyone in the world who has done something unique or who has won any type of award or title no matter how small the Filipino ancestry, so are Americans also happy to claim Megan Young as their own considering several things: she was born in the United States, she carries an American last name, and her family still lives in the US. Although I would have loved to trace her maternal, Filipino family tree to celebrate the beauty and empowerment of women as well as her turning over the title of Miss World to her successor, records are a little scarce for the moment so I have decided to trace her paternal grandmother’s side, which has quite a lot of available information online. Megan Lynne Young was born to Victoria Talde, a Filipina whose roots are from Pandan, Antique, and Calvin Cole Young III. Calvin’s parents, Calvin Young, Jr. and Ella McCaleb, live in Natchez, Mississippi. The McCaleb’s roots are very deep and prominent in Mississippi, and before that to South Carolina and even before that to Scotland, where they belonged to several important clans. The earliest of Ella McCaleb’s known ancestor is William MacKillop who was born in Loch Aber, Scotland in 1695. He married Mary McDonnell McDonald of the Keppoch Clan. The McKillips were believed to be a branch of the Keppoch Clan, thus making him a relative of his wife Mary. The family believe that the earliest McCalebs were probably Roman Catholic and were opposed to the Tudor rulers of England. Both the McKillip and McDonnell clans fought in the battles to return Bonnie Prince Charles to the throne of England. One of their sons, William Neil McKillip, born in 1715, married Sarah McAlpin, who was the daughter of a highland chieftain of the McAlpin clan. Some traditions of the family suggest that William Neil and Sarah eloped to Dublin, Ireland. Whatever the truth, William Neil (McKillip) McCaleb and his wife Sarah were the first McCalebs to set foot in the American colonies in 1746. They landed in South Carolina together with other exiled supporters of Bonnie Prince Charles. It was William Neil’s and Sarah’s son William McCaleb, who settled in Mississippi and founded the line that has given birth to Megan Young. William married Ann Mackey and they had five children. According to the family’s official history: “William McCaleb served as Captain in the patriot army in the Revolutionary War under Generals Marion and Pickins. He commanded a company of Hussars or Horse of the 91st Militia, South Carolina Line. He participated in the battles of Camden, the Cowpens, Eutaw Springs, Ninety-Six, the siege of Charleston and Guilford Court House. 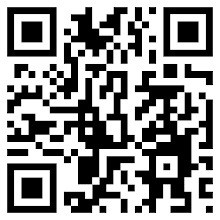 “William McCaleb and his family were living in the Pendleton District of South Carolina in 1784. William McCaleb and Wade Hampton represented the South of Saluda District at the South Carolina Convention which ratified the Federal Constitution. From the Horstman Family webpage where the McCaleb genealogy is extensively discussed, the earliest ancestor in the webpage is John McCaleb, son of William and Ann. John McCaleb married Maria Collins and had 3 children. One of these 3 was James Franklin McCaleb, who married Sophie Washington Moore. One of their children, Douglas Bisland McCaleb, married Louisa Witherspoon Robson, whose son, Sydney Briscoe McCaleb, is the father of Ella McCaleb-Young. 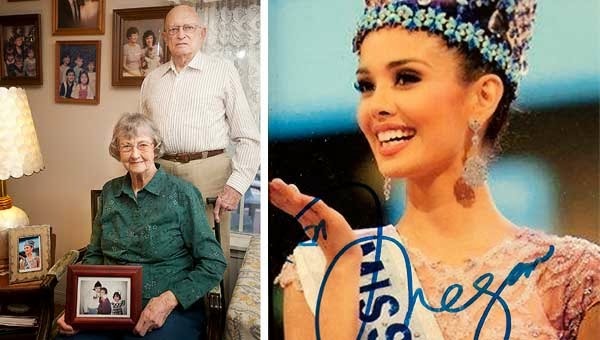 In one news article after Megan Young’s coronation, Ella McCaleb Young was interviewed and she and her husband Calvin couldn’t stop being so proud about their granddaughter. Truly, though Megan Young won the title of Miss World for the Philippines, her American side has every right to claim her victory as theirs. From a Pinoy genealogist’s point of view, the genealogy of Megan Young just goes to prove that while our genes are spreading to almost every corner of the globe, the same can also be said of other nationalities marrying into our citizens. As the world grows smaller and smaller, so do families become more intertwined and intermingled with one another.